I don't think we actually know if they ran out of missiles or not. BUT, if they didn't it seems strange that they would let us have total air superority in the later part of the eleven day conflict. We owned the sky and to them would be a target rich environment. So the general feeling was that they had run out. Again, you have to go back to one of my eariler threads that states that with all the birds we had over the north not one ever spotted one, and helo's were fairly easy to spot. Further, if they used one of the size that was talked about I'm 95% sure we would have seen it. 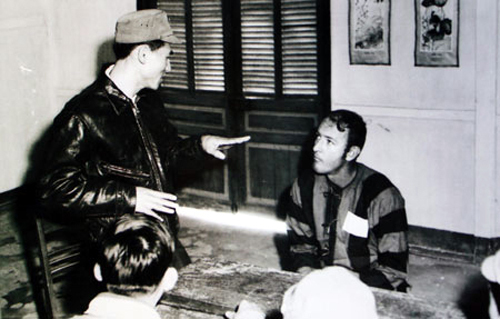 Any idea who is the POW next to Vietnamese pilot? By the way, any recomendation about books for Linebacker II....?